erent ways to monetize. Digital media businesses need a solution that can price for content as a flat fee per usage or one-time fee while still delivering a seamless end-to-end subscriber experience so the business can focus on creating content. 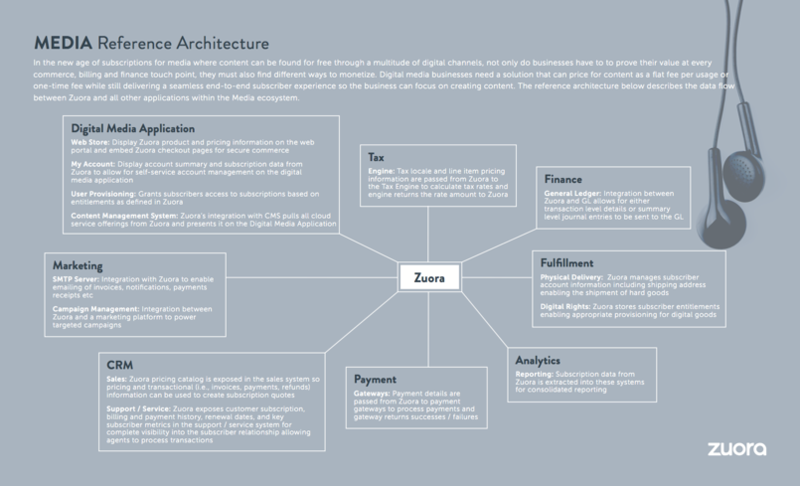 The reference architecture below describes the data flow between Zuora and all other applications within the Media ecosystem.